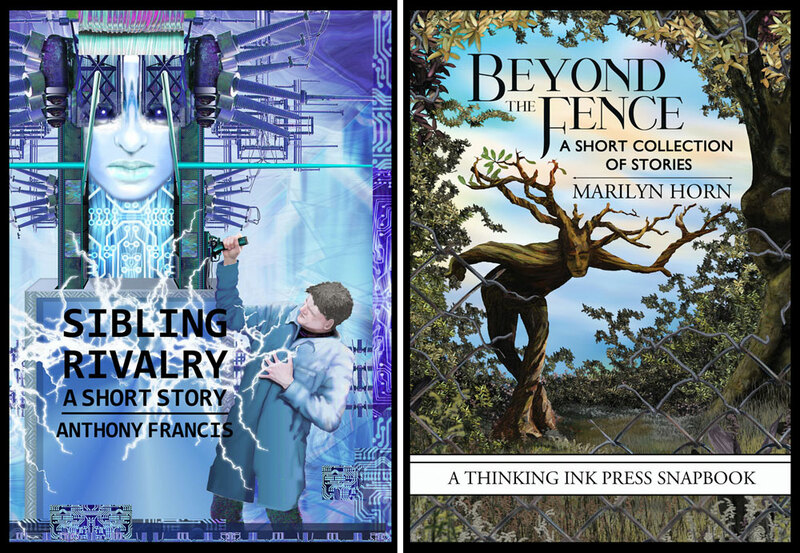 We’re having a book launch party for our new Snapbook line featuring Beyond the Fence by Marilyn Horn and Sibling Rivalry by Anthony Francis! Snapbooks—the Thinking Ink Press take on chapbooks—are short books packed with page-turning stories. Join us at Kaleid Gallery in San Jose on Friday, June 24, from 7:00-9:00 p.m. Marilyn and Anthony will read their work, and Keiko O’Leary will demonstrate and teach the art of hand-folding Instant Books from a single sheet of paper. You can also check out beautiful, original cover art created by local artist Sandi Billingsley for Thinking Ink Press. When: Friday, June 24, 2016, from 7:00-9:00 p.m. Parking: Kaleid is located in downtown San Jose, on the street level of the Fourth Street parking garage (near the King Library). Garage parking costs $5 after 6:00 p.m. Street parking can be hard to find, but is free after 6:00 p.m.
What Do I Need to Do? : Come to the party and bring friends! Click for more about Beyond the Fence. Written by a PhD in artificial intelligence, “Sibling Rivalry” tells the story of the Nicole AI system, the most advanced artificial intelligence ever created … until today. Confronted with a newer, better sibling designed to replace her, Nicole decides that instead of becoming an obsolete brain in a box, she’d rather become an unstoppable killer. With his team, and perhaps the entire building, dead, Nicole’s designer is trapped in a battle of wits with his own creation. Attempt after attempt fails, and with his oxygen running out, Nicole’s designer finds himself running a deadly race with Nicole … to see who can stop whose weak heart first. “Sibling Rivalry” was Epic award-winning author Anthony Francis’s first publication, appearing in The Leading Edge magazine in 1995. Thinking Ink Press is proud to bring this classic science fiction story back into print in Snapbook and e-book form. To sign up for mailings about our events and releases, click the button! We look forward to seeing you at Kaleid on June 24!